Do you have a problem with fleas or are you moving from your rental property, give Sandy Straits Pest Control a call, and our friendly office staff will discuss any problems or concerns you have about fleas and arrange for your flea treatment today. If your moving out of your rental property you will need to have your bond clean and carpet cleaning completed before our treatment. Your lawn will also need to be mowed. Our technicians will apply a low toxic misting treatment to the floor areas on the internal of your home. The external perimeter around the base of your home will be sprayed with a low toxic insecticide spray. Our 1 month warranty period covers your vacate flea treatment. Call us today about our discount vacate flea treatments. 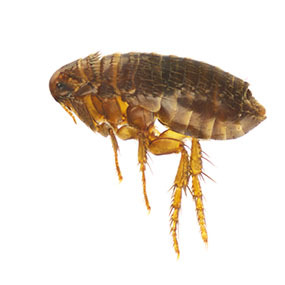 Do you have fleas in your home, or do your pets have fleas, give Sandy Straits Pest Control a call, to arrange a flea treatment for your home today. You will need to pick up any toys, and remove pet food and water bowls from the floor. Your lawn will need to be mowed. You will also need to leave while we complete our treatment. Our treatment methods are the same as the treatment for vacate flea treatments. Our 3 month warranty period covers your in home flea treatment. Call us today about our discount flea treatments in your home.